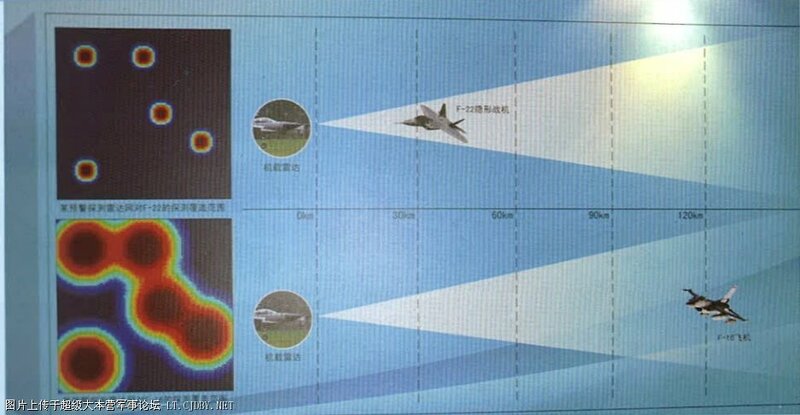 Following image implies detection range of F-22 and F-16 by JF-17's radar. The image has been making rounds of internet and various Chinese websites. Larger radar cross section accounts for earlier detection, right? The detection range and the quality of the F-22 is more better than the F-16. F-22 is leaps and bounds ahead of F-16. JF-17 wins first export order!